Is the Gerbera Plant Poisonous? Why are my Gerbera Daisies Not Blooming? With their cheery white petals, Shasta daisies are perennial flowers that grow well in zones 4-10. 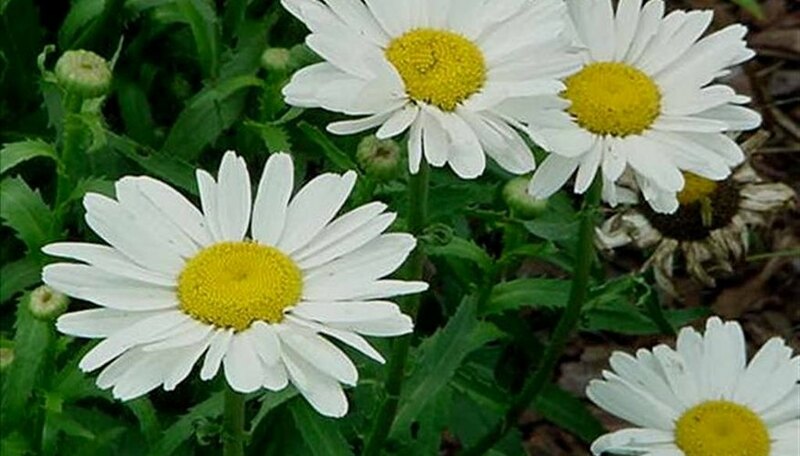 Despite their popularity and abundance, Shasta daisies can be fussy. They prefer full sun and with their shallow roots require frequent watering. They fare best over the winter in a bed with good drainage. A layer of wood chip mulch will help retain moisture. Some plants need staking to keep from falling over. Although clumps of Shasta daisies need to be divided every 2-3 years, this is best done in the spring. If cared for properly during the growing season, Shasta daisies will thrive and winterizing will be simple. Cut back the dead stems to the base of the plant after the Shasta daisies are finished blooming. Add a 2-inch layer of salt hay, straw or evergreen boughs to mulch the flower bed when the ground begins to freeze. Although more wood chips can be used, these materials provide more effective winter insulation. Remove winter mulch from the flower bed in the early spring or around the time the ground can be worked. Daisies like a rich, fertile soil and cool, moist weather. They do not tolerate clay or hot and dry conditions. Daisy flowers are typically ray-shaped with red, white or pink petals and yellow centers. Some white flowers are pink on the petal tips. Double-bloom variations also exist. The plants have round green leaves and stay under 6 inches tall. The stems, leaves and flower stalks are covered with small hairs. Daisies are very prolific, and where conditions are favorable, they can escape into gardens and lawns or other natural spaces and be difficult to eradicate. In scientific research tests, compared to a placebo, taking B. perennis reduced postpartum blood loss. Gerbera plants, such as the popular Gerbera daisy, are not toxic to humans, cats, dogs or horses. Gerberas can actually help clean the air around the home, according to NASA. Still, they should not be ingested. Gerbera daisies may fail to bloom if they receive too little sun, become rootbound or overcrowded in their pots, develop gray mold, are over-watered or under-fertilized. Use African violet fertilizer to encourage daisy flower bloom, and removed spent or moldy-looking petals and flowers. Plant Gerbera Daisies in an area of your garden that will receive full sun. During the cooler months of November through May, water the plant only when the soil becomes “fairly dry.” Plants grow best in temperatures around 75 degrees F. Avoid planting in areas that reach below 45 degrees F.
The aphid is the most common pest to attack Gerbera Daisies. 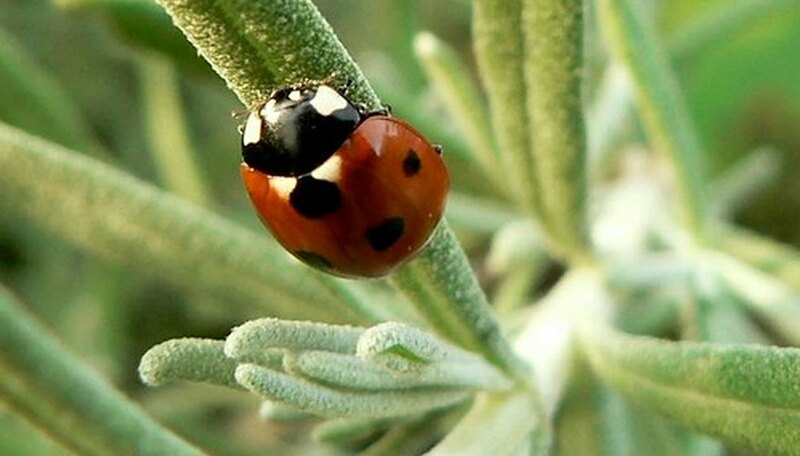 Add ladybugs to your garden to curb the aphid population. The gerbera daisy is native to South Africa, Asia, Madagascar and South America, but successfully grows in many other countries as an annual flower in cool climates and a perennial in warm climates. 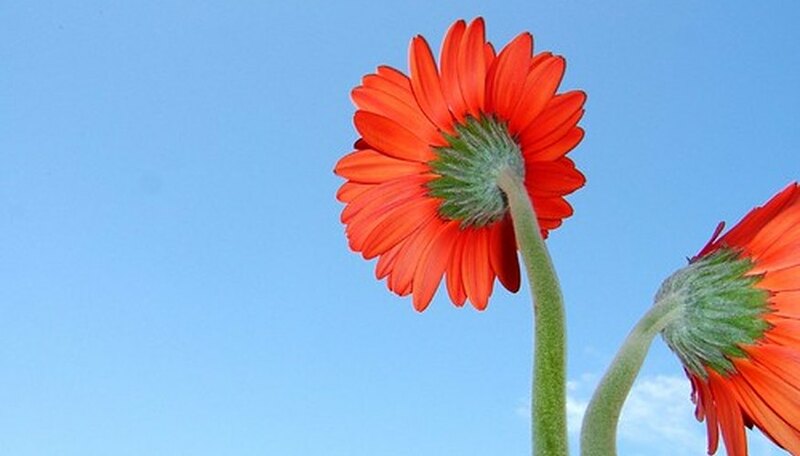 The vibrant flower head of the gerbera daisy is 3 to 4 inches in diameter. Its 10 to 12 inch tall stalks make it an excellent flower for borders and containers. The basal leaves are about 5 inches long, lobed and clefted. The word "gerbera" originated in honor of Traugott Gerber, an early 18th-century German naturalist. Richard Lynch of Cambridge, England began cross-breeding the gerbera daisy in the late 19th century. Most contemporary varieties of gerbera daisy stem from Mr. Lynch's cross-breedings. The gerbera daisy is hardy to 28 degrees Fahrenheit and enjoys full sun to partial shade. It thrives in well-drained, warm, rich soil and requires twice-weekly watering. Removal of expired flower heads promotes further blooms. Certain pests and diseases plague the gerbera daisy, including aphids, spider mites, leaf miners, thrips, powdery mildew, verticillium wilt and leaf spot. Gardeners use a variety of commercial and natural methods to prevent damage by pests and diseases. Choose a healthy Shasta daisy plant to save for harvesting seeds, and allow one healthy bloom to wilt and fade naturally. Don’t deadhead the bloom or cut them for bouquets. Watch for a dry, brown seed head to develop at the top of the stem, where the center, yellow button was. Pinch off the seed head and put it on a paper plate. Put the paper plate in a well-ventilated place away from wind or drafts, and allow the seed head to dry for several days. When the seed head is brittle, and the seeds are easily released when you scrape your fingernail across the top, it’s dry enough. Hold the seed head over a pie plate. Holding it with one hand, poke the center out and crumble the seed head with your index finger. Blow lightly to separate the debris from the small seeds, which will be narrow and gold-colored. Store the Shasta daisy seeds in a paper envelope. Put them in cool, dry place until spring. Visit a nursery or garden center and choose a gerbera daisy that is just beginning to bloom. When you get the gerbera daisy home, remove it from the pot. Loosen the roots slightly, and plant the gerbera daisy in a slightly larger pot. Add enough potting soil to finish filling the pot. Put the gerbera daisy in a sunny window where it will receive at least six hours of light each day. 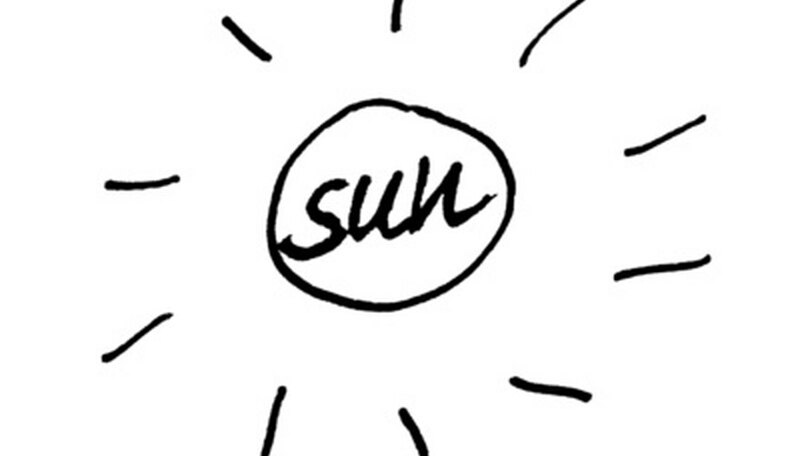 If this isn’t possible, you can supplement the natural light with a grow light. Water the gerbera daisy regularly, but allow the soil to dry slightly between each watering. Be careful not to overwater, which can cause the plant to get root rot. Mist the plant once a week during the winter months, to increase the humidity. Fertilize the gerbera daisy every other week with a liquid fertilizer made especially for blooming plants. Discard the plant when it begins to fade. If it’s spring or early summer, try planting the gerbera daisy outdoors where it might come back and bloom until the end of summer. Gerbera daisies are bright colored blooms on stalks. They are “ray” flowers and can be single or double blooms. Flowers will get 2.5 inches to 4 inches wide and stems can reach a foot to a foot and a half in height. They have coarse leaves. Gerbera daisies prefer full sun and deep well drained soils. Don’t plant deep to avoid root rot. Fertilize for more blooms. Gerbera daisies make nice cut flowers for arrangements and as potted plants. They come in a wide variety of bright colors such as orange, red, pink, yellow and white. Some are bicolored. The Gerbera daisy is hardy in USDA hardiness zones of 9 to 11. Propagate the Gerbera daisy by clump division. You can plant seeds also. The California Poison Control System lists gerbera daisies and any gerbera species as non-toxic to humans. However, the site warns that listing a plant as non-toxic does not mean that it will not cause nausea or vomiting if consumed in large quantities. If in doubt, call the poison control center. 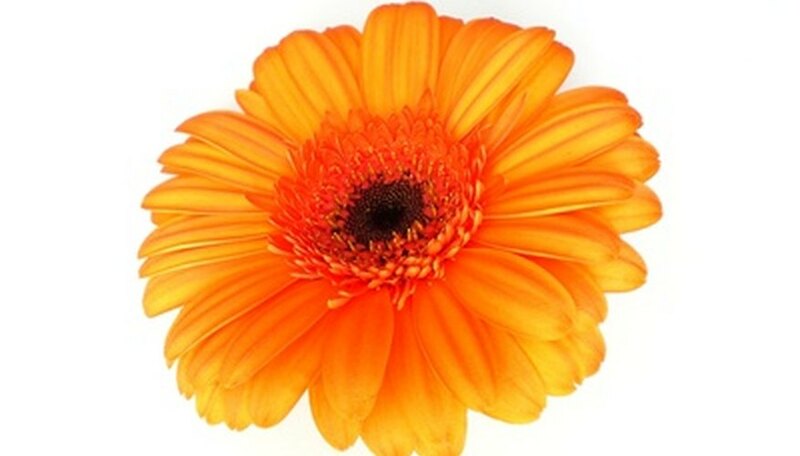 Both the American Society for the Prevention of Cruelty to Animals, and the California Poison Control System, list gerbera daisies as non-toxic to pets. The ASPCA specifically mentions that this plant is not toxic to cats, horses and dogs. A plant that is not toxic may still induce allergic reactions in susceptible people and animals, according to the California Poison Control System. Dogs, especially, may eat large quantities of the plant before discomfort sets in. Children may get pieces of the plant stuck in their windpipe and choke on it. Keep gerbera daisy out of reach of children and animals for their safety and the safety of your plants! The English daisy was originally a small, low plant with yellow-centered white flowers of less than an inch in diameter. The daisy has now been bred to include double-flowering forms with longer stems and 2-inch blooms in colors running the spectrum from white to pink to red. The name daisy is also given to the plants of the Asteraceae family, the second largest family of flowering plants. In common to all of the plants in this group is a composite flower structure, which is made up of both ray flowers (which we think of as petals) and disk flowers (the tight central button). Some other flowers we think of as daisies are echinacea (coneflower), feverfew, helianthus, rudbeckia (black-eyed Susan), tithonia and the shasta daisy. They come in a wide variety of sizes, colors and blooming times, though all prefer a sunny location. 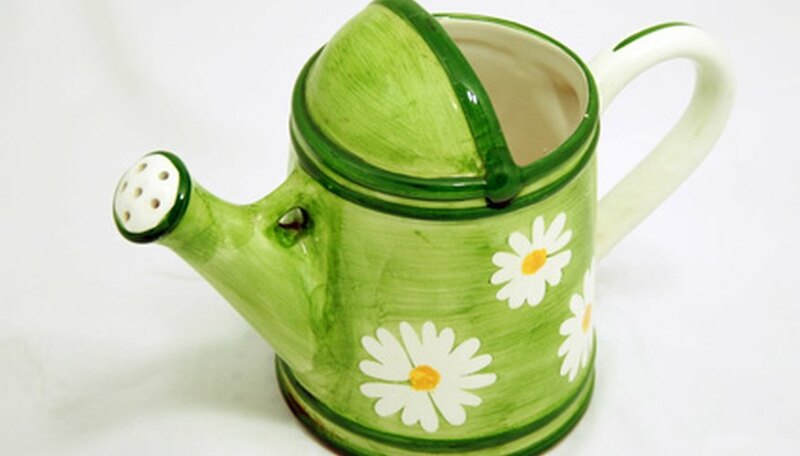 In olden times daisies were used as an herbal remedy to cure illnesses such as arthritis and bronchitis. The daisy also has astringent properties. Daisies are a much-loved flower of children. They can be strung together to make a daisy chain which can be worn as a necklace or a crown. The petals can be removed one at a time to play the classic “she-loves-me; she-loves-me-not” game. Two common varieties of daisies are the Shasta daisy (Chrysanthemum maximum) and the gerbera daisy (Gerbera Jamesonii). Other varieties of daisies include black-eyed Susan, feverfew, echinacea and fleabane (Blue Beauty). Daisies require well-drained, fertile soil. Seeds are planted to 1/16 of an inch and lightly covered with soil. Germination will depend on the variety sown. Daisies will bloom from late spring until early fall. Fertilizing is required monthly. Regular deep morning watering should be done when the soil dries. To encourage more blooms, deadhead (remove spent blooms) on a regular basis. The wide varieties of sizes and colors make daisies a favorite cut flower. Daisies also stay fresher longer than most other cut flowers; depending on the variety, that may be 10 to 14 days. Daisies are susceptible to a fungal infection, Sclerotinia (white mold), which can be prevented by ensuring that soil is well drained. Common pests that can be treated with insecticide are spider mites, caterpillars, leaf miners and thrips. Monitor the health of your gerbera daisies regularly. While they tend to be pretty hearty and need little care, once rot sets in, it can be difficult to regenerate and restore them to a healthy state. Use garden shears to clip away dead plant growth, like dried out or rotting leaves. Inspect the bases of the leaves for a small plug that forms when leaves are ready to fall off. Once this plug forms, you can simply brush the old leaves off the plant with your hands, requiring no cutting. Pinch or clip off dead flowerheads as close to the base of the flower as possible. Pinching them off is easiest when the flowers have fully dried out, but if conditions are damp, this could lead to rotting. Clip them as soon as possible to avoid rot and disease. Prune only the stems of your gerber daisies during the growing season. Divide the gerber daisy plants every 3 years by driving a stake through the center of the unearthed plant and replanting each part. Trim your gerber daisy plants down 6 inches in late fall. Cover them with an organic mulch to protect them in winter. Remove the dead flowers and leaves to prevent fungus and pest infestation. Remove the dead flowers from the base of the plant. Take off the spent flowers after blooming to encourage new blooms. Situate your gerber daisy near a sunny window where it will receive the highest quantity of the very brightest light available all day. Provide the plant with a constant warm temperature of about 65 to 70 degrees F.
Water gerberas just enough to keep the soil evenly moist. Don’t allow them to become soggy or waterlogged. These plants don’t like wet feet. Mist the gerber daisy’s foliage twice weekly with warm water. Don’t spritz any water on the blooms. Feed the gerbera an all-purpose water-soluble liquid fertilizer for blooming plants once every other week while it’s blooming. Follow the packaging instructions carefully. Deadhead gerber daisies when blooms wilt and fade. Snip the flower head from the stalk with sharp, clean scissors. Cut Gerber daisies from the plant early in the morning. Pull the leaves down, and cut the stem of the flower as close to the base of the plant as possible. Cut the stem at a 45 degree angle. Use sharp scissors or gardening shears to ensure a clean, smooth cut. Mix 1/2 teaspoon of white sugar per quart of tepid water. Pour the sugar-water mixture into a vase. Place the cut Gerber daisies into the vase of sugar-water. The sugar in the water helps keep the daisies alive for a longer period of time. Remove the daisies from the vase and change the sugar-water every third day. Cut 1/2 inch off of the bottom of the stem--again, at a 45-degree angle--each time the water is changed. Gerbera daisies (Gerbera jamesonii), commonly seen in container gardens and in colorful flower beds, are considered annuals in northern climates and perennials in the warmer zones. Even in southern gardens, or when brought indoors in cold weather, they only live about 2-3 years. Select healthy plants that are sturdy and bug-free with green foliage and brightly colored flowers. Pick plants with buds in addition to flowers. Plant in a sunny location. In extremely hot areas, such as Southern states, gerbera daisies require partial shade, but in most places daisies thrive in full sunlight. Provide excellent drainage. Gerbera daisies planted outdoors do well planted on a slope. If grown on level ground, make sure the soil drains well. If much clay is in the soil, mix in compost to help drainage. For daisies planted in pots, make sure the pots have drainage holes. Water sparingly. Gerbera daisies thrive in soil that is moist but not wet. Allow the soil to dry between waterings. Feed gerbera daisies every two weeks. Water-soluble fertilizer works best. Clip off dead flowers. This not only makes the plant look healthy, it also encourages the development of new flowers.